The safety , either at home or in the office, is integral to our lives today. You always have to be careful and make sure your belongings are safe. 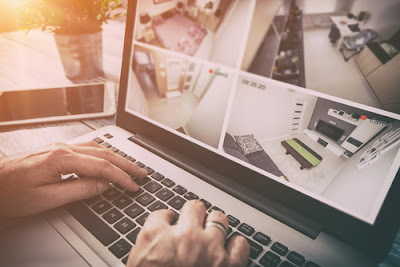 After knowing how to install an IP camera , it is important that you read our tips to install security cameras to be as safe as possible. 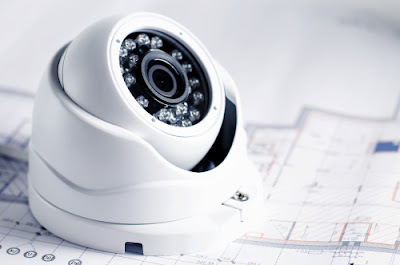 CCTV is an effective solution to protect your home or business premises . The offers are aimed not only at companies , but also at the general public . But individuals, as often entrepreneurs, are not necessarily aware of the extent of their rights and obligations in this area. CCTV directly undermines the right to the image . We can not place his cameras anywhere. It is also sometimes necessary to make declarations or requests for authorization, and to inform the occupants of the protected premises, in accordance with the Data Protection Act. 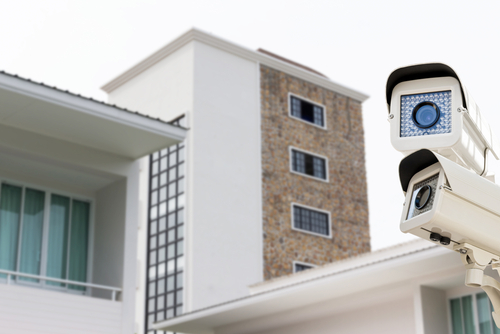 CCTV systems should only be used to protect property and people. • In the business , the cameras should not record employees about their workplace, except in some specific cases (cashier handling money, stevedores handling valuables, etc.). • When the business premises welcome the public (shops, offices welcoming customers), the facilities must not infringe the privacy of these people (no cameras in the toilets or dressing rooms). • In condominiums , only common areas can be filmed: entrance hall, underground parking, technical rooms, elevator doors. On the other hand, cameras should not film apartment doors, balconies and private spaces. 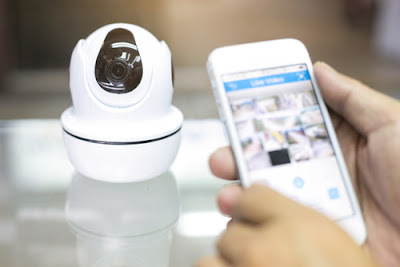 • In homes, video surveillance systems are not subject to the Data Protection Act. However, the privacy of neighbors, visitors and passers-by must be respected. It is therefore necessary to direct his cameras to his only property. For example, it is forbidden to film the street, even to watch his car parked on the public domain. 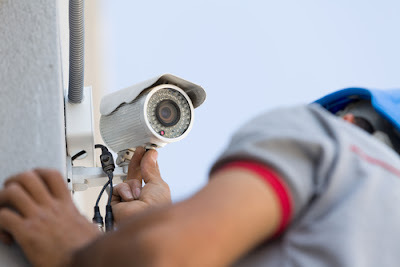 • The display: Any CCTV installation must be posted as soon as you enter the premises, private, professional or public . 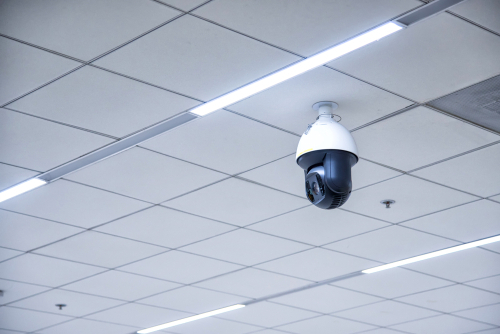 In companies, staff representatives must be consulted before the implementation of video surveillance, and each employee must be informed individually, for example by signing the rules of procedure as soon as he or she takes office. • The declaration to the CNIL: It is necessary when you welcome the public , or that your CCTV system can film employees . Even in a home , the statement is needed when you greet a home worker (cleaning lady, babysitter, nurse, etc.). Any undeclared system will be unenforceable against employees, for example in the context of a dismissal procedure. In a condominium, the installation must be declared for common areas. • Individual information: In addition to this obligation, the owner or person responsible for the installation must inform all employees individually, for example by signing the internal rules mentioning the existence of video surveillance. • The application for authorization in the prefecture: An authorization is necessary as soon as the installation of video surveillance films public spaces, or similar (entrance to shops, private parking, entry of condominiums without closing system, etc.). • In condominiums, to persons designated by the syndicate of co-owners (the trustee, the guardian, the property manager). The inhabitants do not have the right to view them freely. • In the houses, to the owners. • In companies and businesses, security managers, managers, or referents designated in the declaration to the CNIL. In special circumstances (assault, risk of attack, vandalism), these images can be transmitted to the police (police or gendarmerie). Warning : Under no circumstances should the images be broadcast on social networks or sharing platforms, even to make the "buzz", except with the express agreement of all people filmed. The infringement of the right to the image could lead to a filing of complaint and legal proceedings. 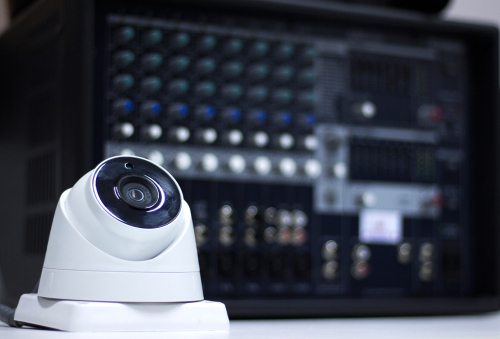 When investing in a video surveillance system, get closer to your insurer. This installation will allow you to negotiate a reduction of your premium of up to 15%, as well as a reduction or elimination of deductibles. Be careful, your insurer may impose a system complying with the NF A2P standard , installed by an APSAD R81 approved person who will issue you a certificate of conformity for your installation. 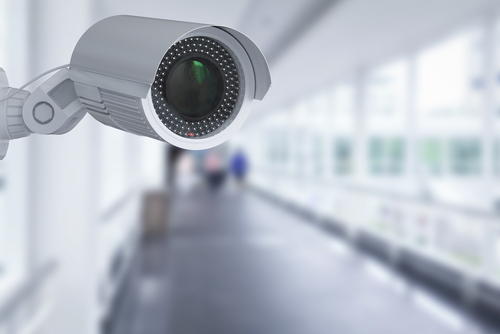 New technologies have made it easier for the general public to access video surveillance. In parallel, technologies have multiplied, making the choice more complex. • The configuration of places: The wiring is not always easy to achieve in some premises. Conversely, the installation of cameras wi-fi requires to have a good reception of the signal. 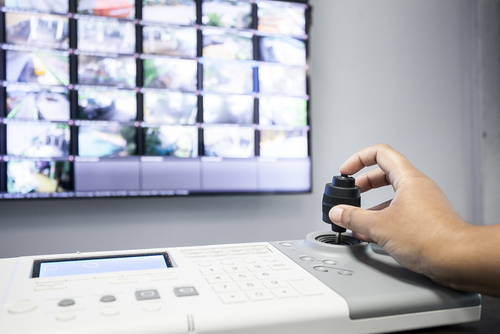 Wireless video surveillance may be more suitable for smaller premises. • Aesthetics: The wiring of your installation can be apparent, and therefore less attractive. • Scalability: It will be easier to add new cameras with a wireless system. In addition, current systems tend to move towards home automation, with new features. • The Do-It-Yourself: If you want to install your equipment without the intervention of a professional, the kits all-in-one for wireless video is right for you. Installation is simpler and faster, and brands offer numerous online video tutorials. • Cameras: The number of cameras depends on the configuration of the places, and the number of possible accesses. • A recorder: The filmed images will be kept on the hard disk. You can also use a NAS server to save your images, or a subscription on the cloud . Some manufacturers also offer complete systems with a dedicated cloud space. • A control box or management software: Some systems allow to start the installation partially, with a zoning system . This allows for example to protect the ground floor while you sleep upstairs. • A screen: This screen can be specific to your installation. The new solutions offered nevertheless allow access to images by wi-fi, on a smartphone or tablet . Some equipment also requires access to the Internet: CCTV connected to the Internet brings many benefits for the management of its CCTV system , such as start-up, real-time information transmission, or live image viewing. Other installations benefit from an alarm system in addition, for a more effective deterrent effect. The main point of CCTV is the camera. Many models with specific features exist: picture quality, recording in the dark, anti-vandalism system, depth of field, etc. 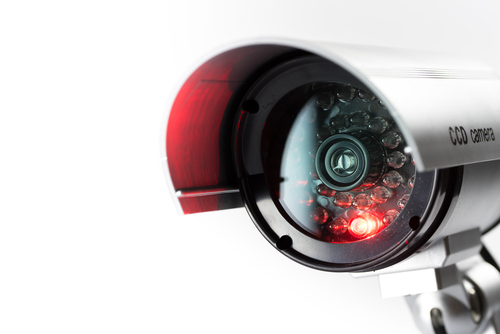 If you are installing outdoor cameras, make sure that the chosen model is waterproof and wind resistant. Otherwise, there are also waterproof boxes to protect the camera from the weather. 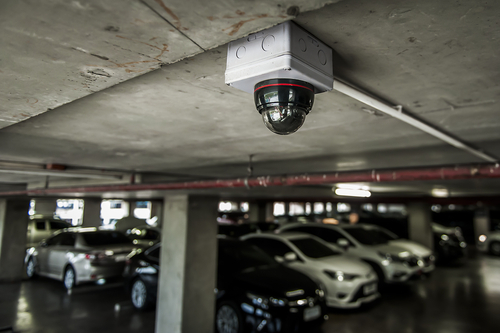 The cameras "domes" or "vandal", are particularly suitable for sensitive areas (public areas, parking) or outdoors. They are equipped with a protective globe, while offering a good image quality. Some models are motorized, and allow a rotation of the camera , thus covering a larger perimeter. The cameras "tubes" and "housing" are suitable for any type of installation, in homes or businesses. They have a very classic and discreet design. Some are also mobile, so as to cover a wider area. 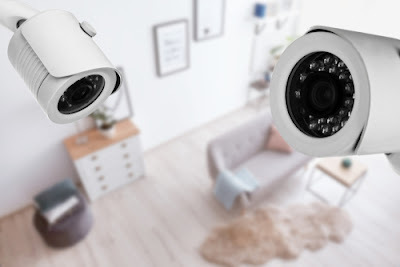 All of these cameras exist in version equipped with motion sensors, limiting the recording time when the room is unoccupied.